With the boom in cryptocurrencies, millions of people are buying and selling virtual coins every day. Some of this activity occurs off-line, with people handing each other spending rights to the coins, but most of it happens through the online exchanges. These companies attract millions of dollars and facilitate the transaction of large amounts of holdings. When a person decides to become involved in the recent trend and purchase the cryptocurrencies on an exchange, the first thing they have to do is to choose a platform. There are different kinds of websites that offer varying functionality. It is imperative that a customer takes into consideration several things before they finalize their decision on which platform to purchase cryptocurrencies on. Not all platforms will be suitable for all customers. What some find to be an advantage of certain websites, others could deem completely irrelevant. Consequently, before starting to look for an exchange, it is better to figure out what you are looking for. Some of the questions to ask yourself include: What coins will you be trading? Are you likely to leave your holdings on the exchange or take them out to another wallet? How often will you trade on the platform? How much of the cryptocurrencies are you planning to purchase? After answering these questions you will know what criteria are high on your priority list and judge the exchanges accordingly. What are the available trading pairs on the platform? There are hundreds of cryptocurrencies a customer might want to buy. Naturally, not all of them will be available on all exchanges. In fact, most of the large exchanges will offer a limited number of coins. If you are not sure about which currencies you will want to buy in the future, but you think that they won’t include any of the more exotic ones, you can go ahead and pick any one of the exchanges that support the major currencies. If you think that you might need to purchase the less popular coins in the future, you can choose an exchange which supports a large number of coins. Keep in mind, that if the exchange supports some three cryptocurrencies it is not guaranteed that you will be able to exchange all of them among each other. Most of the time, there are one or two major currencies that act as middlemen during the exchange. For example, if you want to exchange Bitcoin Cash for Ethereum, you might have to exchange it into Bitcoin first. More such transactions you have to make, the higher the fees. Consequently, look for the availability of trading pairs that you might need the most often. 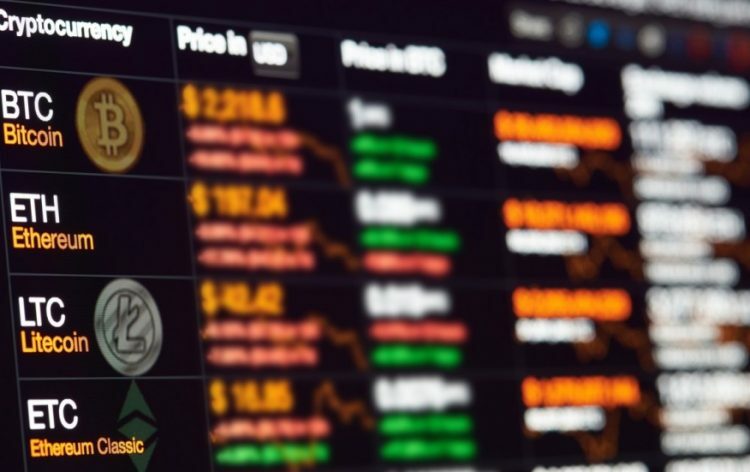 There are several types of fees associated with cryptocurrency exchanges. It is, of course, important to look at the trading fees. These are divided into maker fees and takers fees. For people who purchase cryptocurrencies at the moment on the spot market, there are taker fees. Since the order is filled immediately, the buyer has to pay the taker fee. On the other hand, when a user places an order on the market that will be filled later, they act as a market maker and will have to pay a maker fee. It is important to look at these fees before starting to trade on a platform. In addition to these fees, there are also deposit and withdrawal fees that have to be considered. These are charged when depositing money on the account and when taking the funds out. High withdrawal fees can make a difference between making a gain on the investments and losing on them. In addition to fees, withdrawal limits have to be considered as well. If you purchase a small amount of cryptocurrency, you might not be able to withdraw it because of the limits. Policies on these issues will usually be available on the websites of the providers. How easy is it to navigate and use the website? This is one of the most important factors when deciding which cryptocurrency exchange to become a user of. It is especially true for beginners who do not have a lot of experience trading and using such platforms. Some of these exchanges will offer complicated functionality and the interface that mirrors this complexity. While this could be attractive for some of the more experienced traders, it will be confusing for beginners. Seeing how user-friendly the exchange’s website is, is as easy as opening it and spending a few minutes on it. What are the KYC policies and how easy is it to register? Most exchanges will have to comply with some regulations that require implementing KYC procedures. For the customers, this translates to having to fill out forms when signing up on the website. Unlike the usual registration forms that people are used to, in this case, they will have to prove their identity. Sometimes these websites ask users to submit their photos, IDs, and proof of residence. Although the procedures are generally comprehensive on all platforms, some offer more lengthy registration while others a more convenient one. As strange as it may sound, it is probably better to look for exchanges who require more information from the customers. The registration is a one-time procedure. Once you are done with it you will not have to do it again. On the other hand, the companies that have more comprehensive KYC procedures are less likely to be penalized by regulators. This way the risk of your exchange getting shut down for not complying is reduced. What ways are there to deposit and withdraw money? Depositing fiat money on an exchange is not always easy. Some people prefer to do it via a credit card while others want to fund their investments with a bank transfer. Different exchanges will support various ways of depositing and withdrawing money. Be sure to check out these options beforehand, because registering just to find out that they don’t accept your credit card would be a waste of time. In addition, when withdrawing money, it is good to know that they will be able to deposit it directly to your bank account. This offers convenience and speed that might be lost when using other channels. Where is the platform based? Nowadays, as the regulatory framework for blockchain related activities is not set up in the majority of the countries, this might not be as important. Nevertheless, countries all around the world are quickly developing regulations, and soon these will affect the exchanges. Some of them will have to relocate like they did when China banned cryptocurrency exchanges. Others could be forced to change their services and procedures. It is a good idea to research where the exchange is based and then look at the regulatory trends in that country. If the country is famous for taking a strict approach when it comes to the cryptocurrencies, maybe it will disrupt your trading activities in the future. On the other hand, if the regulations are too lax, the exchange may attract illegal activities like money laundering and terrorist financing. In this case, they may meet some challenges down the line. What are the security measures like? As many stories have proven time after time security is an extremely important factor when it comes to the exchanges. It seems like we hear a new story about exchanges getting hacked almost every week. People are losing their holdings and often there’s no way to get that money back. Before choosing which exchange to become a customer of, it is important to look at what security measures they have implemented. Some exchanges store 99% of their cryptocurrency holdings in cold wallets. Which means that they are kept offline and can’t be hacked as easily. They will usually have this information readily available on their websites. To be completely safe, it is a better choice to move your holdings to a separate cold wallet yourself. For people who need to transact often, this is unfortunately inconvenient. In that case, make sure that the security measures of the exchange are adequate and your holdings are safe. How does the exchange rank compared to others? Rankings are not always important. Sometimes it doesn’t matter what the market capitalization of an exchange is compared to others. Nevertheless, they can be used to make some judgments on the exchanges. The bigger companies have attracted more customers so it is likely that they have higher liquidity and better services. In addition, if you are looking at OTC exchanges, these platforms will have more options. On the other hand, the larger exchanges could also become targets for hack attacks as well.